With AWS Marketplace solutions you can extend your infrastructure whenever you need to, and be production-ready in minutes. 1. Review the common scenarios on the left navigation bar. 2. Download our Solution Overview guide (PDF). 3. Or contact us to request help or AWS infrastructure credits. AWS customers are aware of the numerous benefits they are privy to by hosting their applications and workloads on the cloud such as cost savings, scalability, agility, and high performance. Capitalizing on those benefits, though, largely depends on an organization’s networking capabilities. From infrastructure security to inter-VPC connectivity, optimizing network infrastructure can help you get the most out of your cloud or hybrid IT environment. Software vendors in AWS Marketplace offer software solutions configured specifically for AWS to help you do that. 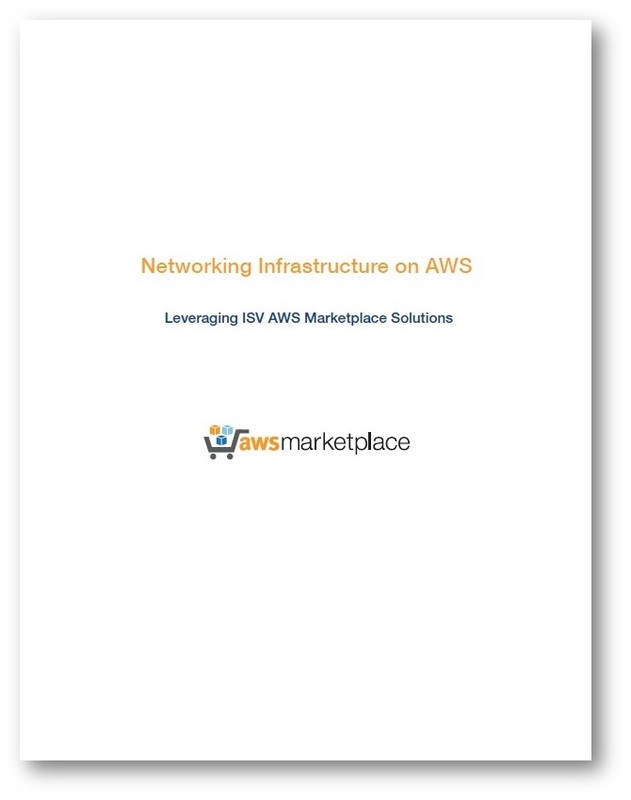 Download the solution overview to hear about networking software offerings available through AWS Marketplace and how they’re helping businesses take full advantage of the AWS Cloud. View also Security and Storage solutions in AWS Marketplace.